It really is a great time to be a #thing. #Things are white hot right now. #Things are calm cool and connected! #Things have gotten so big that they even have a universe (the aptly named thingiverse)! All good definitions for a thing, but somehow the word has gotten bigger and there might be room for additional definition around this? Perhaps some wording that in some way acknowledges connectivity and an awareness of a greater universe in which #things have an opportunity to connect? That is not to say the Merriam-Webster has it wrong in any way, but I can’t help but wonder if the #thing is on the verge of a major awakening? As we continue to move from things to #things, it is really impossible to not acknowledge the growing role of “The Internet of Things“. With the emerging story of #things still establishing itself, of particular note is the potential lack of humans in this exchange. Amazing to think that #things are connecting with other #things. Right now still a fairly analogue story, but at some point likely to be much more intelligent. Think about what a machine-to-machine network can become simply by adding one word to it: Learning. As the world is becoming more connected going from the mainframe, to the desktop, to a mobile device (tablet/smartphone), to the wrist (both for health and vanity devices) as users we are becoming more comfortable with an evolving understanding of what connectivity means and how it can impact our lives. This is turn has allowed us to evolve our understanding of moving from things to #things. 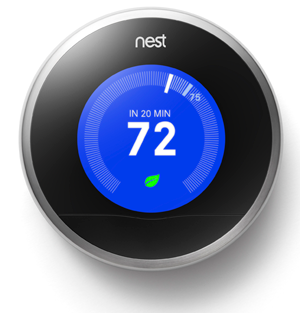 A great example of a connected #thing is the Nest which bills itself as a learning thermostat. And while the Nest has the capacity to learn from its owner, the Nest can also connect to a wider ecosystem of other #things such your car. The “car” scenario is not some future forward idea – that actually works today! And by the way, in case you were wondering, in 2014 Google purchased Nest for $3.2 billion which should give you a strong indicator of how other more mature technology companies are reacting to this emerging class of #things. 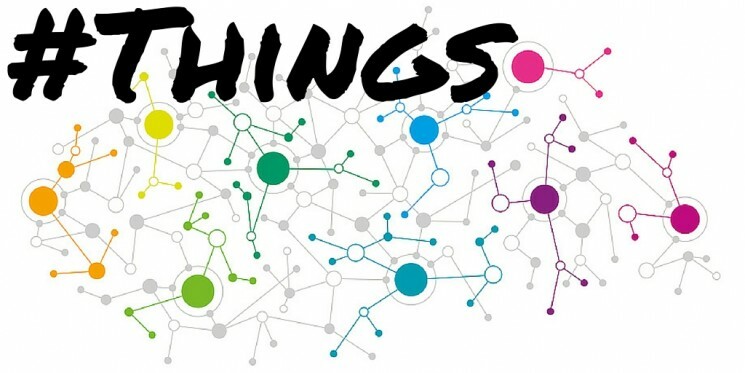 And if you have some curiosity around the wider potential impact of #things, Cisco is estimating there will be 50 billion connected devices by the year 2020! So what happens with all these #things as they start to scale? Where are #things heading? Also, should we be concerned? Perhaps we even go as far to a place where the machines take over, and even worse maybe the machines see dominance with a very specific meaning. Look no than the concept of a zoo (caged animals with seemingly no purpose other than to entertain) to provide a real life example of what ascendance and dominance could look like. And yes, some of today’s leading visionaries around science and technology including Stephen Hawking, Bill Gates and Elon Musk all agree that there is room for concern. For me, I still fall back on my marketing background and I can’t help but imagine a universe where #things are marketing to other #things. 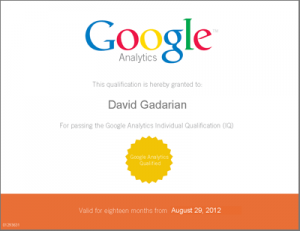 What will #machine to #machine, #thing to #thing marketing look like? Use my API!!! No use My API and we’ll throw in direct API access to your vacuum, your refrigerator and your neighbor’s washing machine! This type of craziness is only the tip of the iceberg. Imagine when #things start to invent values for actions – what kind of madness do we think they’ll drum up? Promises to be a great show but what happens when #things engage in some form of collective bargaining? Or when #things go on strike? Imagine when #things start to negotiate with other #things. What does a futures market for #things look like. What about scarcity? What if the pipes get so filled up with meaningless dribble that the most important items (the items we actually care about) have a hard time getting through? Sounds preposterous but we only have to look at today as a good example of this and how online advertising is becoming increasingly sophisticated and is also becoming more and more of a bandwidth hog. One day we’ll all look back and fondly smile at the lowly web widget. If only we knew then what the #widget was going to foretell….